Packer was also an anomaly among his non-Anglican evangelical and Calvinist brethren who were led (and mesmerised) by Martyn Lloyd-Jones, the revivalist, conversionist, somewhat mystical orator-preacher incessantly talking about the church but with no doctrine of the church. 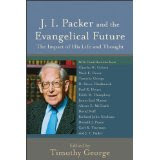 For Packer did (and does) have a view of the church. According to Carl, in Packer, Martyn Lloyd-Jones met his theological match, could not take the heat, and forced the break. (Here Carl relies on Gaius Davies’ analysis of Lloyd-Jones’s character defects. Trueman and Davies may be correct on these, but as character analysis is not my field, I shall leave that to the more qualified. Save to say that Carl may at this point have lost sight of the overall thesis of Davies’s book, Genius, Grief and Grace, (Mentor, Second Edition, 2001) which is that the Lord may use deeply faulty people. You don’t have to be perfect to be a blessing, and you ought not to conclude from the fact that you are a blessing that you are perfect). There seem to me to be two strong arguments against this analysis, arguments which are, in effect, two sides of the same coin. An argument about the man, and then an argument about his beliefs about the visible church, and what those beliefs imply. First, Carl’s view of JI requires one to think of him as something of an evangelical and Reformed free spirit, with Dissent in his working-class veins, forming deep theological convictions that strongly tend to separatism from those who disagree with him on vital matters. (After all, Packer became a public figure largely through the sponsorship of the IVF, as it was then). But in fact Packer grew up as a working-class nominal Anglican. Anglicanism ran (first somewhat sluggishly, it seems), in his veins. So Trueman seems to think that Packer was and is an Anglican with a bad conscience for being so, all the time looking for a way out from Anglicanism that is consistent with his Reformed outlook. But the evidence points the other way, that (despite the difficulties JI sees in being and staying an Anglican, difficulties that have surely grown since the time he went to Canada), he remains an Anglican with a good conscience. There is no evidence, as far as I know, that he ever toyed with ‘coming out’, that it was ever a live option for him. Nor was it that in a Lloyd-Jones - Packer stand-off Packer blinked first. There was no such stand-off, to my knowledge. Rather, while there was heartache (on Packer’s side at least) over the break, the likelihood is that he could not understand what all the fuss was about. And if JI was reviled, he most certainly did not revile again. As far as he was concerned there was nothing to get hot under the collar over, no ‘dilemma’, since in his eyes his adherence to Anglicanism was consistent both with his ‘Puritanism’ and with his fellowship with other evangelicals who differed from him over his churchmanship. 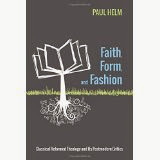 Trueman writes of a virtual world in which Packer had left the Church of England, and of what would or might have followed. As it happens, on Packer’s arrival in Canada aspects of that virtual world had a chance to become part of the real world. For once he was in Canada he certainly had plenty of opportunity to join a confessional, separatist Reformed congregation or denomination had he so wished. I imagine that had he done so, he would have been received with open arms. But he chose not to; the virtual world in which Packer leaves Anglicanism for some form of separatism remained virtual. Like so many emigrants to North America he lovingly took his old church with him. Why? The obvious answer is: because it was a part of his identity. But what Carl seems not to appreciate is that the Anglican church, with her episcopacy, her state connection in England, and her theologically-mixed character, is (as our earlier posts have shown) a state of affairs fully consistent with JI's ‘doctrinal Calvinism’, his avowed 'Puritanism', and with his brand of Reformed ecclesiology, even though maintaining that view over the years has occasioned him much personal pain and humbling. Carl quotes Packer as believing that ‘the claims of evangelical unity do not require ecclesiastical separation where the faith is not actually being denied [i.e. where it is not made impossible to express oneself] and renewal seems possible [i.e. it is possible to have influence for good on such a mixed church]’. (122) This is one expression of JI's commitment to Anglicanism as a ‘mixed’ church. Another part of JI’s ecclesiology (as we have also already seen) is that he holds that no issue of principle is involved if some fellow Christian dissents from his view. So his Reformed ecclesiology is not monochrome, or imperialistic, nor (at the same time) does his own version of it have separatistic implications. For him Reformed ecclesiology is a genus with several species. 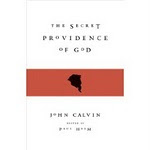 The species that he has committed himself to is a consistent working out of the Anglican denial of the regulative principle: it is permissible to do (in church government, and in worship) what Scripture does not forbid. This denial of the regulative principle permits (Packer judges) the inclusion within the Anglican zone of those with deep theological differences, as in the church of Corinth in Paul’s day, perhaps, or in one or another of the Seven Churches of the Revelation, even though these differences are deplorable, just as it equally permits fellowship with the separatists should their separatism allow for such fellowship. On both these counts I believe that Carl, in writing an interesting and absorbing piece, has nevertheless missed the mark. But I think I may now have discerned in his own character a trait that I had not seen before - romanticism, ecclesiastical romanticism!